You know what's missing from this motorcycle? An old-school girder fork up front and a hard tail. Do that and you can take this Scout all the way back to the 1940s, and nobody would look at you twice. That's until they notice the liquid-cooling, cast aluminium frame et cetera. But as far as modern-yet-truly-retro motorcycles go, the Scout is right on point. So what, then, is the purpose of the Scout Sixty? The idea really was to take the game right to Indian's main rival Harley-Davidson. The Sportster line, which is the Scout's main rival internationally, has always had the 883 to entice first-time buyers and provides a more affordable start to their motorcycling journey. 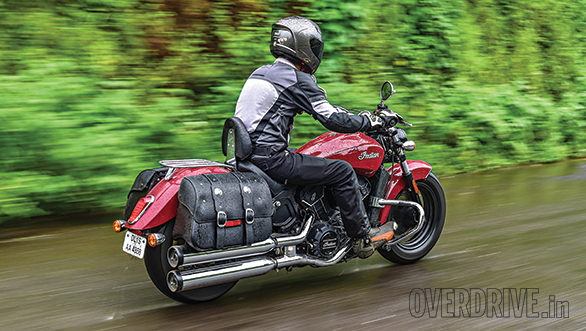 The Scout Sixty's purpose is exactly that  provide a more affordable, super friendly Indian that will introduce first-timers to the brand and hopefully keep them there by graduating to their bigger motorcycles. But the question really is how different is it from the full-size Scout? On paper, not very. 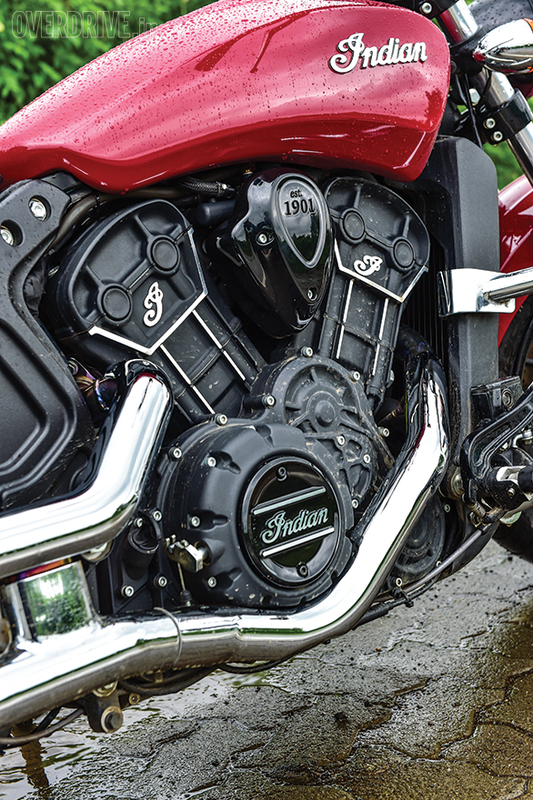 The Sixty loses eight cubic inches of displacement that brings the 60-degree V-twin down to 999cc. The drop in displacement and a different mapping for the ECU mean now the engine makes 78PS and 88.8Nm. That's not all, aside from the drop in displacement, the gearbox has lost one cog. The drop in displacement has been achieved by reducing the bore of the engine. So this means the engine still retains its smooth, long-stroke nature. It remains the vibe-free, smooth, torquey motor that we loved. But under full-blown acceleration, the drop in torque can be felt a little. Regardless, it manages to clock 5.4 seconds to 100kmph in the wet, which is under a second slower than the bigger Scout. Impressive, no? A bit of this has to do with the fact that the despite losing a gear, the Sixty hasn't lost a ratio. 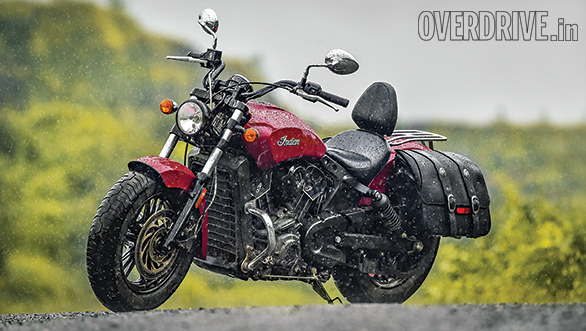 Indian merely took away the fifth gear and replaced it with the sixth from the full-size Scout. All the other ratios remain the same. In effect, the ratios haven't been made longer. 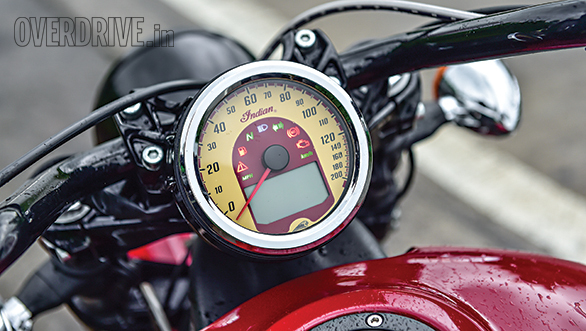 This also means that the top speed of the motorcycle remains close to the bigger Scout's at 193kmph. Aside from ABS, the Sixty doesn't get any electronics. So no traction control or riding modes. This means if you're in the mood for it, you can have all the mischief you want. And if you're not, you can just putter around town with the engine rumbling away underneath. With a 254kg kerb weight, the Scout Sixty (like its bigger brother) is heavier than the bigger Scout. This is thanks to the extra weight from the now thicker cylinder walls. But despite its heavy kerb weight, the Sixty remains an incredibly easy motorcycle to ride and live with. The low centre of gravity, low seat height and easy-to-reach controls make it easy to walk the motorcycle around and gives you a lot of leverage in tight situations. But where all that mass-centralisation works wonders is in the way the Sixty handles. It is super light to steer despite those ridiculous 130-section tyres up front. But the wide cross section gives the Sixty a bigger contact patch which in turn delivers excellent cornering grip. And when you combine that with controls that don't scrape everywhere with the slightest lean, you have a motorcycle that you can have a lot of fun with. Ride quality too isn't bad. But mind you, this one still runs the dual-shock set-up at the rear. So don't go expecting a magic carpet ride. It's good, for sure. But it sure isn't in the Chief territory. Overall, the Scout Sixty is a fantastic motorcycle. It might have lost some displacement and a gear, but it hasn't lost a lot of performance and it most certainly hasn't lost the charm and character that made the bigger Scout such a great motorcycle. But here's the catch. As I said before, the Sixty is meant to be the more accessible of the Scouts. And this is true in the US, where the regular Scout is over 25 per cent more expensive than the Sixty. 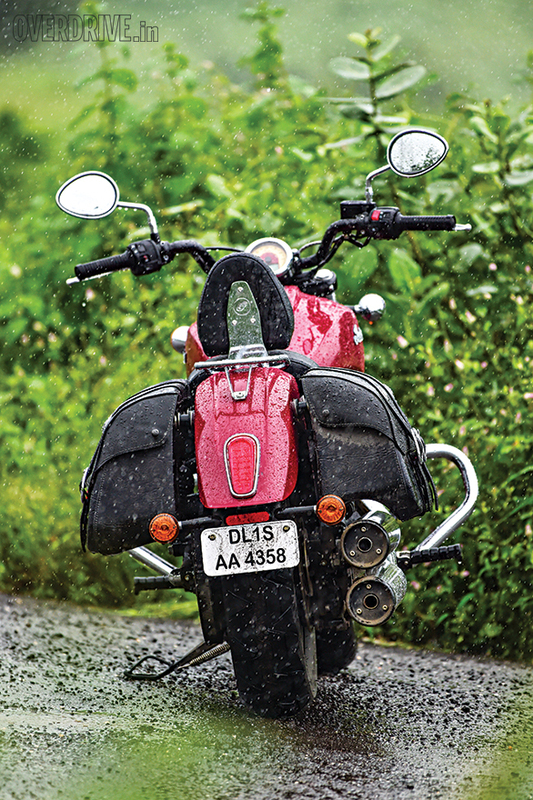 But in India, the Scout is priced at Rs 12.99 lakh while the Scout Sixty is priced at Rs 11.99 lakh (both ex-showroom, Mumbai). This makes the Scout only eight per cent more expensive than the Sixty. A lakh of rupees is a lot of money, agreed. So the decision comes down to whether that money is worth the performance gains and the extra gear. I know one thing for sure, even if you do end up picking the Scout Sixty, you won't be missing out on any of the Scout-ness. That said, a lakh of rupees isn't all that much in EMIs, is it?